I sliced Thursday’s price and volume action a number of different ways last night. Factors I looked at included new intermediate-term highs being hit, a 1% move up, and relatively low volume. The results of all my tests indicated choppy action over the next week. The VIX spike down more than 10% below its 10-day moving average. Check out my post from yesterday which discusses in detail the implications of this. Basically, this on its own is not a signal to short, but when the oversold condition of the VIX begins to work off, it may be. 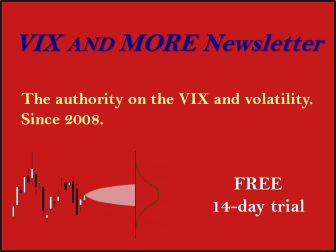 The VIX:VXV ratio that Bill Luby tracks hit it’s lowest level to date on Thursday. Breaking the previous low set on 12/21/07. Also The CBOE total put/call ratio hit its lowest level since 12/21. December 21st was not a good time to be going long. Dr. Brett Steenbarger tracks the 10-day moving average over the 200-day moving average of the CBOE total put/call ratio. That reading dropped below 0.85 for the first time since early October – also not a good time to be long.